ZAP (Zinfandel Advocates & Producers’ annual festival) was held on January 23-25th. I was invited by Anne Alderete of McCue Marketing Communications to participate in a special virtual tasting for those unable to make the trip to San Francisco. On Wednesday, January 22nd, three zinfandels were showcased that were made in an “old school” style — called “field blend Zins”. These were all from the Dry Creek Valley, an AVA in Sonoma County that has been setting the bar for Zinfandel for more than 100 years. These Field Blend Zins are primarily zinfandel, but are grown and picked together with a small percentage of other grapes; the fruit is then co-fermented. You can view the video of the chat by visiting the site by clicking here. This is a blend of 82% Zinfandel, 16% Petite Sirah and 2% Carignane. The wine has 14.4% alcohol by volume and the bottle is sealed with a natural cork. This is a blend of 75% Zinfandel, 10% Petite Sirah, 10% Carignane and 5% Matero (Mourvedre). 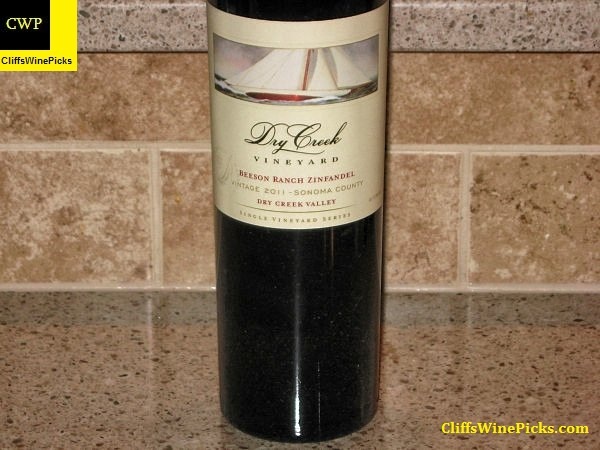 The wine has 14.9% alcohol by volume and the bottle is sealed with a natural cork. This is a blend of 85% Zinfandel and 15% Petite Sirah. 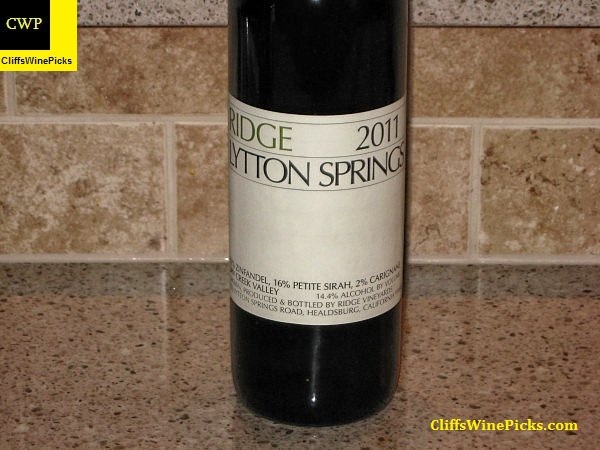 This was a very enjoyable event with one of my all time favorite wines in this category, the Ridge Lytton Springs. 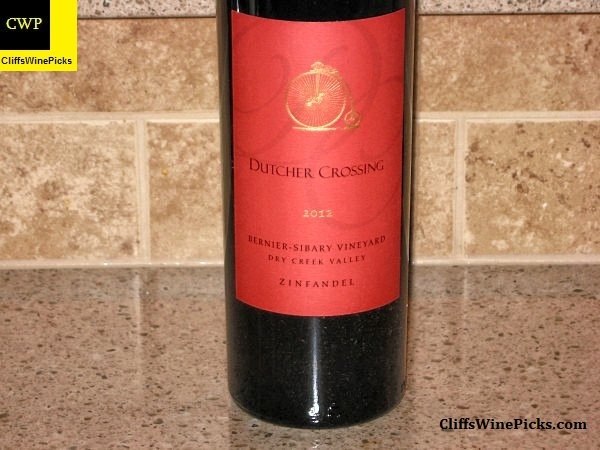 The event also included a new winery for me, Dutcher Cross, which I will actively search for in the future. 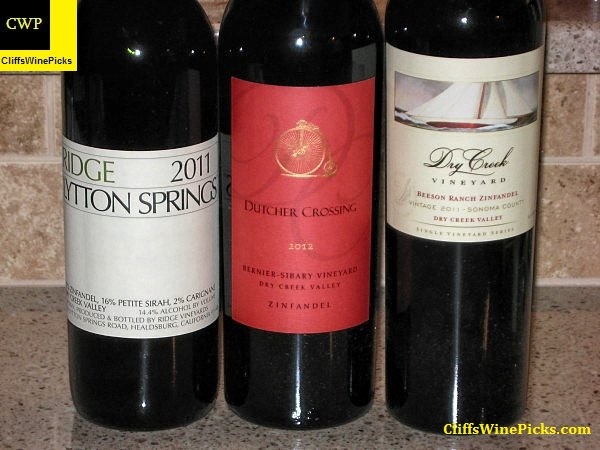 The Dry Creek Vineyard wine wasn’t shabby and would make any evening meal a much nicer experience. I want to say thanks to McCue Marketing Communications and specifically Anne Aldrete for including me in the event. I also have to express my gratitude to the wineries for supplying the wines for the tasting.